Last night I was surfing the web and came upon a collaborative effort called The List Journal by Hanna Andersson (iHanna) and Tammy Garcia (daisy yellow). Hanna and Tammy made journals for each other and then decided to create a list prompt each week to write in their new journals. The first prompt, The Five Things You Love About Spring (or any season) started this past Tuesday and another prompt was posted today, Five Books That I Have Read. 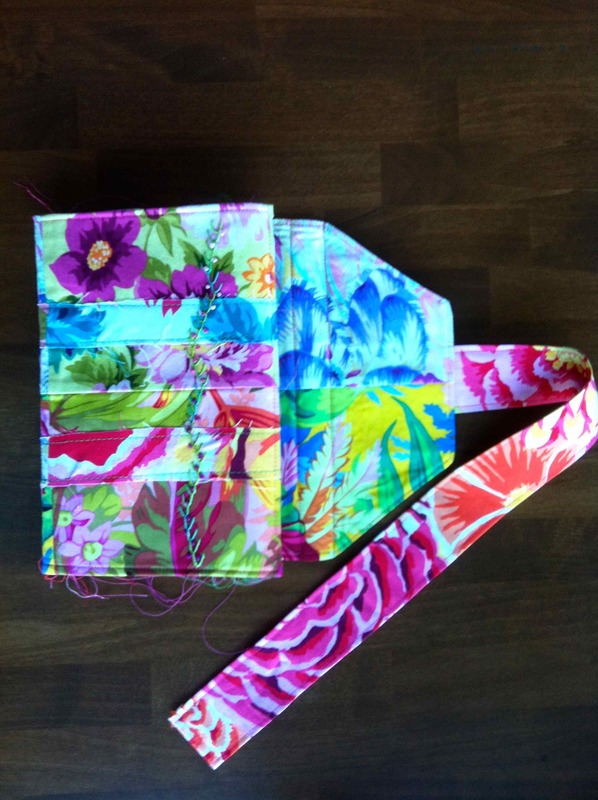 Another blog, Artsyville by Aimee Dolich has brought back her List It Tuesday. Take a look at her fabulous artistic lists. I am an avid list maker and love the idea of creating specific lists about things. My only problem while pondering this project was that I didn’t have a journal to use. I have lots of plain jane journals waiting to be filled up with paint, stenciling, ink and such, but I wanted something more so I started looking through my shelves and found my second “Remains of the Day” journal that I made last year. 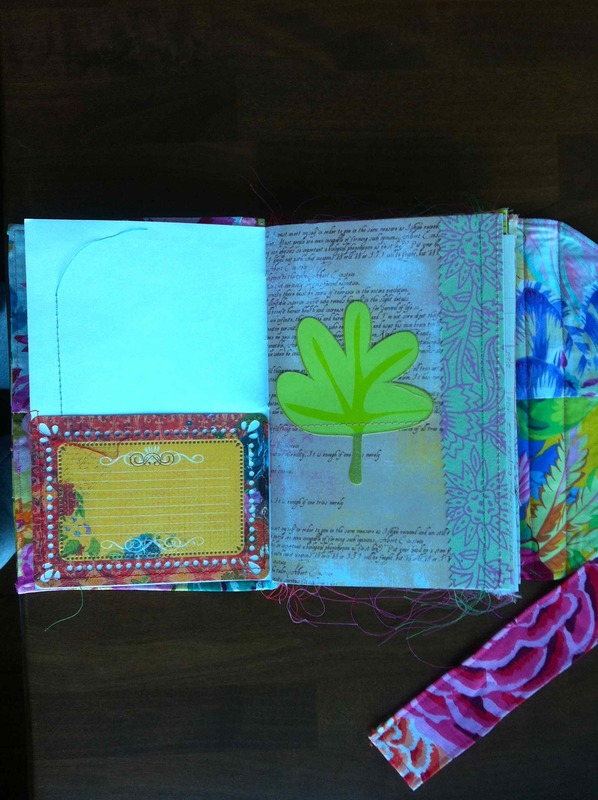 (If you haven’t created one of these journals, please go right now to Mary Ann Moss’ blog, Dispatch from L.A., and take a look at her on line class called Remains of the Day. This is the BEST on line class I have ever taken.). I had been saving this journal for something special and this is something special! 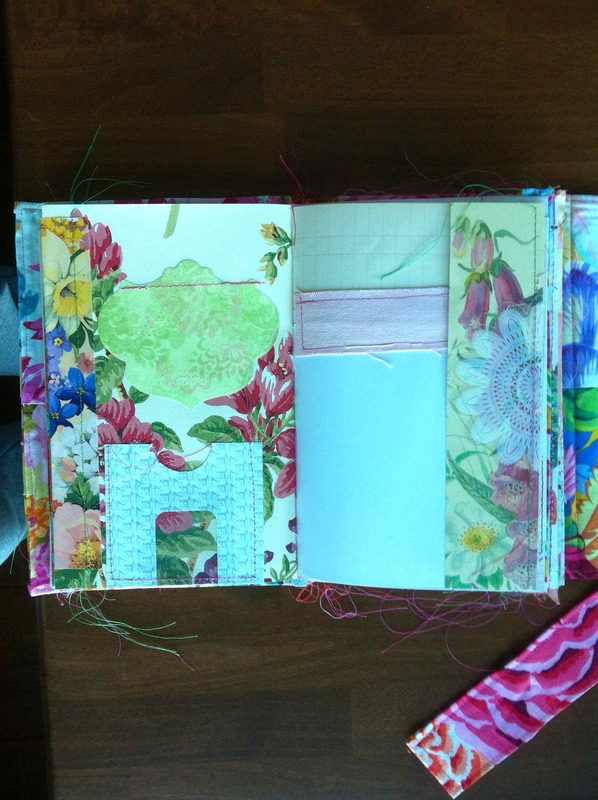 Here are some pics of that journal. 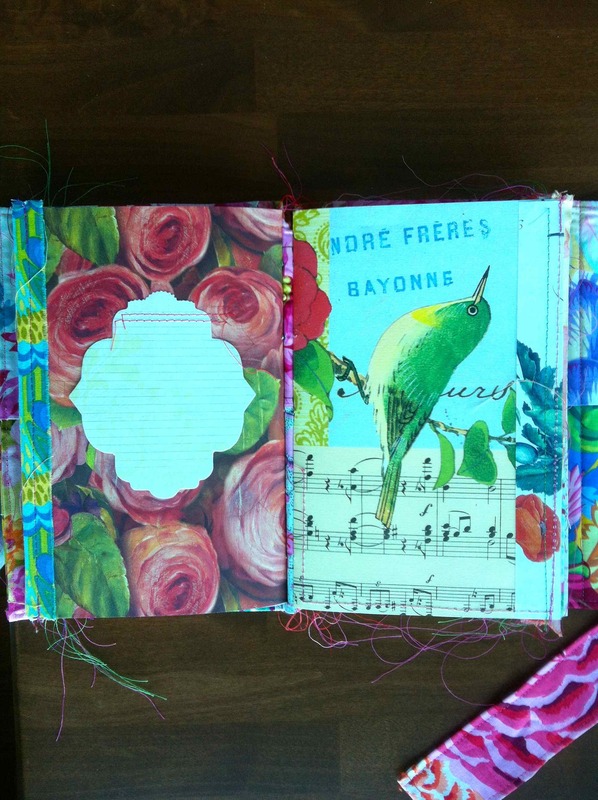 This is the cover, a patchwork with hand embroidery. 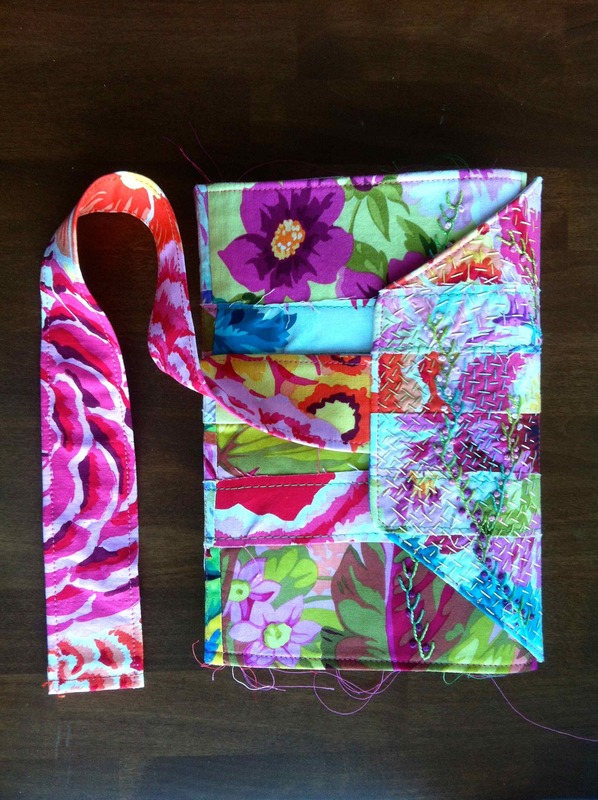 The flap opened to show another embroidered flower vine. The cover page with my initial. A few of the inside pages, waiting to be written on. As soon as I can figure out how to work my camcorder, I will make a video to show all of the pages. In the meantime, I hope you enjoy these. 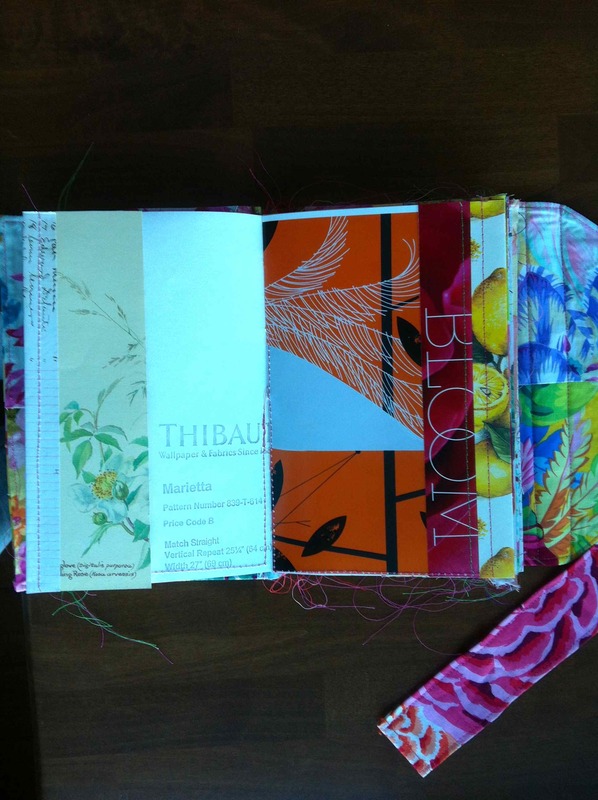 This entry was posted in 2012 and tagged art journal, recycle. Bookmark the permalink. Super happy that you will be playing along, Marci! Your Remains of the Day Journal looks perfect for list-making endeavors. Beautiful fabrics, to be sure. Oh how fun that you will join us and make lists. 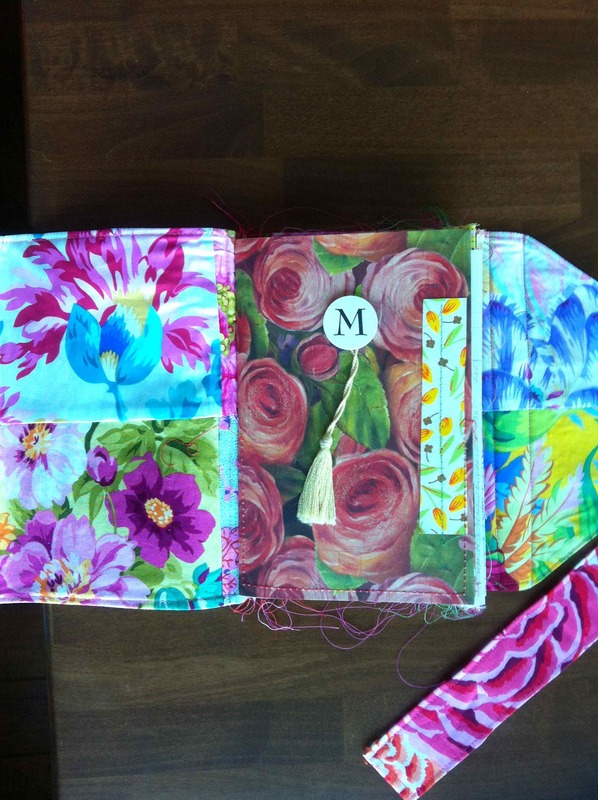 Your journal is SO beautiful, love the fabrics you chose for the cover. Yummy stuff!